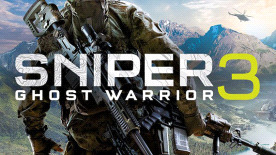 The setting plays an important part in Sniper Ghost Warrior 3. For the franchises 3rd installment the team at CI games have taken on a brand new protagonist in the form of Jonathan North, and put him in the brand new setting of Georgia. So what is so special about Sniper Ghost Warrior 3’s Georgia setting. According to the developers, Georgia was the perfect setting for Sniper Ghost Warrior 3 because it’s a really exoctic place that not many people associate with typical Russia. The whole game is set in the northern part of Georgia and has a nice mix of post soviet architecture and middle eastern influence. You can liken the setting of Sniper Ghost Warrior 3 to Sniper Ghost Warrior 1. The first game was set in the more exotic jungles of the island Isla Trueno, where players were able to use trees and foliage to their advantage. Where as the setting of Sniper Ghost Warrior 2 had more of a cold desolate feel. It sounds like the setting of Georgia will have a nice mix of dense foliage and open areas, which will allow players to mix up their gameplay styles a lot more compared to the first two games. Georgia also sounds like the perfect place for an open world map, as Sniper Ghost Warrior 3 is jumping into the realms of open world gameplay it sounds like CI games have chosen the perfect place with lots of variation. As Sniper Ghost Warrior 3 is set in Georgia, CI games will not be releasing the game in Russia. All russian video game distributor are refusing to sell the game as Georgia is still a very sensitive topic in Russia after political tension rose and war broke out between Georgia and Russia in 2008.